Australian Conservation Foundation, Dave Sweeney, 30 Mar 16 The Foreign Minister’s plan to sell Australian uranium to Ukraine is a dangerous retreat from responsibility, the Australian Conservation Foundation said today. Foreign Minister Julie Bishop has announced she will sign an agreement this week with Ukrainian President Petro Poroshenko to supply Australian uranium to Ukraine. “Australia, the country that directly fuelled Fukushima plans to sell uranium to Ukraine, the country that gave the world Chernobyl – this is hardly a match made in heaven,” said ACF nuclear free campaigner Dave Sweeney. “Thirty years since the Chernobyl nuclear disaster five million people still live in contaminated areas in Belarus, Ukraine and Russia. “There remain serious containment and waste management issues at Chernobyl and there are very real security concerns about Ukrainian nuclear facilities being targeted in the current conflict with Russia. “Australia has properly suspended uranium sales to Russia – it makes no sense to start selling uranium to Ukraine now. “There can be no nuclear business-as-usual in the shadow of Fukushima – a disaster that was fuelled by Australian uranium. “Following Fukushima the UN Secretary-General called for Australia to have a dedicated risk analysis of the impacts of the uranium sector – this has not happened and needs to. JOSEPHITES QUESTION NUCLEAR WASTE PROPOSAL, Josephite Justice Office, Sydney , 29 March 16 http://www.sosj.org.au/news-events/view_article.cfm?id=2772&loadref=594 Josephites around Australia have joined in questioning the proposal to import high-level nuclear waste into Australia. This is a move that challenges all of us who are committed to an increasingly fragile planet to look closely at the whole question of radioactive waste. Josephites fear that the proposed sites for the storage of this high-level waste are likely to be on Aboriginal lands. These are some of the most vulnerable and sacred lands in Australia, and the proposal is clearly in direct conflict with the interests of many Indigenous communities. South Australians have strong memories of the Maralinga lands of the Pitjatjantjara, Yankunyjatjara peoples being used for the British nuclear tests of the 1950s and 1960s. Even after four ‘cleanups’, we know that dangerous materials, including plutonium, lie in shallow burial pits. The announcement by the South Australian Royal Commission that Australia should welcome high-level radioactive waste from other countries is profoundly troubling. Not one country in the world – not even the USA – has been able to successfully contain its own high level radioactive waste. Solar power set to take over the world? Is solar set to take over the world? https://www.weforum.org/agenda/2016/03/is-solar-set-to-take-over-the-world Keith Breene, Senior Writer It’s the largest power plant of its kind. Built in the Moroccan desert, the $765 million Noor-Ouarzazate complex is set to power over a million homes. Even a few years ago, a project of this scale in the North African desert would almost certainly have been an oil or gas power station. But the Noor-Ouarzazate complex runs on the power of the sun. It is a sign of how far solar power has come that such large infrastructure projects are now being built. That the scheme was partly funded through a loan from theWord Bank also shows how solar is becoming mainstream. What’s behind the growth in solar? Of course, concern over the use of fossil fuels and global warming is a large part of solar’s current success. But the reason it is doing quite so well, quite so quickly really comes down to price. The cost of power generated by solar has plummeted to the point where, in many parts of the world, it is now close to coal or gas generated electricity. The more solar grows, the cheaper it becomes to manufacture solar panels, and the virtuous cycle continues. But it’s not just that solar is becoming cheaper – it’s also that fossil fuel generation is becoming more expensive. That’s because once a solar or wind project is built, the marginal cost of the electricity it produces is almost nothing, whereas coal and gas plants require more fuel for every new watt produced. Power companies will choose the free power whenever they can, which means less is required from the fossil fuel power stations and the marginal cost of their power rises. BNEF reports that in every major region of the world, the lifetime cost of new coal and gas projects rose considerably in the second half of 2015, while the cost of renewables continued to fall. How can we solve the problem of storing solar energy? One of the problems with solar power is, of course, that it’s only there during the daytime. This has been used as an argument for keeping fossil fuel generation for the “base load” generation needed 24 hours a day. But even this is changing. The Noor-Ouarzazate complex is not a photovoltaic power plant. Instead it uses concentrated solar power (CSP), which holds vast potential due to its ability to provide reliable power even when the sun is not shining. Hundreds of mirrors focus the sun’s energy to heat a fluid that is used to produce steam that drives turbines to generate electricity. The fluid can also be used to heat molten salts stored in large storage tanks on site. The salt stays hot enough to generate steam even after the sun has gone down. It is such a promising technology that the International Energy Agency estimatesthat up to 11% of the world’s electricity generation in 2050 could come from CSP. Another major change is rapidly improving battery technology. Alreadyhouseholds can buy battery packs for their solar panels, and the cost of these is expected to reduce significantly over the next few years. Entrepreneur Elon Musk reckons that the entire world’s electricity demands could be met with around 2 billion large batteries. What if it’s not very sunny? It is easy to see why Morocco might look to solar to meet its energy needs. The same goes for many other hot and sunny parts of the world. But is solar really workable elsewhere? For the answer to that, take a look at Germany. Hardly famous for its year-round sun, the northern European nation has nevertheless led the world in solar generation. Germany has the capacity to generate over a third of its electricity from solar and in the summer of 2014 even managed to briefly generate over half of its power this way. Germany shows us that solar is not just a technology for the sun-drenched parts of the world. Solar isn’t the only answer to the world’s energy needs, but it has much to offer. As the cost falls and the energy market is further disrupted, solar energy is set to play a huge part in meeting our global energy needs. South Australia’s changes to Aboriginal Heritage Act – a precursor to nuclear waste dumping? Minister rejects nuclear dump spectre in Aboriginal heritage overhaul , INDAILY 29 Mar 16 Tom Richardson The State Government insists changes to the Aboriginal Heritage Act pushed through parliament last week will have “absolutely no impact whatsoever” on the debate over a potential future nuclear waste dump, which indigenous communities fear could end up on traditional lands. Aboriginal advocates and the Greens expressed concern at the haste with which the bill was passed, arguing there was inadequate consultation on its final draft. Legislation to amend the Heritage Act passed parliament with Labor and Liberal support, despite opposition from the South Australian Native Title Services and the Aboriginal Legal Rights Movement, who argued the changes “have not been put before Parliament with the support of Aboriginal People”. Sue Tilley, an indigenous social policy advocate, told InDaily: “One has to wonder about the rush to get this bill through parliament and the critical timing of this.” “South Australia is currently facing a number of contentious developments that may significantly impact on Aboriginal land and on the protection of heritage, such as the consideration of potential sites for a nuclear waste dump, and the development of the Northern Connector Road Project, amongst others,” she said in a written statement. But Aboriginal Affairs Minister Kyam Maher rejected the suggestion, insisting the changes safeguarded Aboriginal communities …….. Advocates are unconvinced, particularly with the minister ceding his authority to delegate his decision-making powers to traditional owners of a site. Andrew Beckworth, the principal legal officer with South Australian Native Title Services, provided advice to Greens MLC Tammy Franks that “this bill will come as a shock to many Aboriginal People in SA, as it has done for us”. “This bill flies in the face of what previous governments or ministers have attempted and does so without any respect for the primacy of Aboriginal people’s voices and their rights and interests in managing and protecting Aboriginal Heritage,” the submission argues. 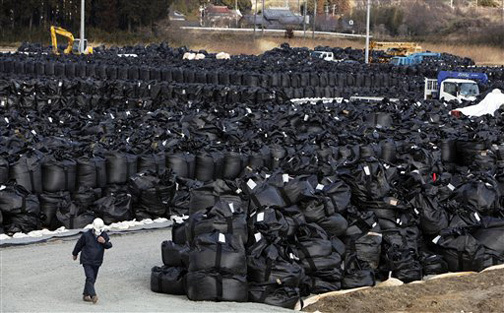 “City” Of Waste: Fukushima Cleanup Now Up To 10.7 Million 1-Ton Bags Of Radioactive Waste, Activist Post, Matt Agorist MARCH 27, 2016 “………According to the Fukushima prefectural government, Japan Ministry of Internal Affairs, the Tokyo Electric Power Co., the Nuclear Regulation Authority, the Federation of Electric Power Companies and the Woods Hole Oceanographic Institution, the numbers associated with this disaster are staggering. 164,865: Fukushima residents who fled their homes after the disaster. 97,320: Number who still haven’t returned. 49: Municipalities in Fukushima that have completed decontamination work. 45: Number that have not. 30: Percent of electricity generated by nuclear power before the disaster. 1.7: Percent of electricity generated by nuclear power after the disaster. 3: Reactors currently online, out of 43 now workable. 54: Reactors with safety permits before the disaster. 53: Percent of the 1,017 Japanese in a March 5-6 Mainichi Shimbun newspaper survey who opposed restarting nuclear power plants. 30: Percent who supported restarts. The remaining 17 percent were undecided. 760,000: Metric tons of contaminated water currently stored at the Fukushima nuclear plant. 1,000: Tanks at the plant storing radioactive water after treatment. 7,000: Workers decommissioning the Fukushima plant. 26,000: Laborers on decontamination work offsite. 200: Becquerels of radioactive cesium per cubic meter (264 gallons) in seawater immediately off the plant in 2015. 50 million: Becquerels of cesium per cubic meter in the same water in 2011. 7,400: Maximum number of becquerels of cesium per cubic meter allowed in drinking water by the U.S. Environmental Protection Agency. But perhaps the most staggering number of all of these statistics is the fact that the waste is being temporarily stored right next to the waterfront in a Wall-E style. The visual representation of the failure of this nuclear power plant is shocking. China’s fossil fuel transformation places axe over controversial Shenhua coal mine in New England, The Age, March 29, 2016 Heath Aston Political reporter China Shenhua, which owns the contentious Shenhua-Watermark project on the NSW Liverpool Plains, has warned of plunging demand for fossil fuels and slashed its global budget for investing in new coal projects. The proposed mine at Gunnedah is now almost certainly “commercially unviable”, according to Tim Buckley, Australasian director of the Institute of Energy Economics and Financial Analysis and it is only a question of whether the Chinese government proceeds to development in an attempt to “save face”, he said. “I have no doubt the project doesn’t make any commercial sense unless the coal price doubles,” he said. NSW Greens’ mining and agriculture spokesperson Jeremy Buckingham said Mr Joyce should negotiate a “swift and fair exit” for Shenhua. “Even the world’s biggest coal miner has recognised that there is no need for new coal and it’s up to Barnaby Joyce to create certainty for the farmers of the Liverpool Plains by negotiating an exit for Shenhua,” he said. Five years in planning and due to be finished in early March, more than 23,000 solar panels will be floated on the Queen Elizabeth II reservoir near Heathrow and used to generate power for local water treatment plants Guardian, Fiona Harvey, 29 Feb 16 On a vast manmade lake on the outskirts of London, work is nearing completion on what will soon be Europe’s largest floating solar power farm – and will briefly be the world’s biggest. But few are likely to see the 23,000 solar panels on the Queen Elizabeth II reservoir at Walton-on-Thames, which is invisible to all but Heathrow passengers and a few flats in neighbouring estates. Five years in planning and due to be finished in early March, the £6m project will generate enough electricity to power the utility’s local water treatment plants for decades. The energy will help provide clean drinking water to a populace of close to 10 million people in greater London and the south-east of England, a huge and often unrecognised drain on electricity, rather than nearby homes. A similar floating solar farm with around half the capacity of the Thames Water project is being built by water company United Utilities on a reservoir near Manchester. Construction of an even bigger farm – at 13.7MW more than twice the QEII farm – is underway on a reservoir in land-scarce Japanand due to finish in 2018……. Putting solar panels on the water for the QEII scheme has not required planning permission, though big arrays of similar panels on land require official sanction. The government has decided to ban farmers who put solar arrays on agricultural land from receiving EU subsidies for the land. China plans to increase total wind power capacity by 22 percent in 2016, underscoring the government’s effort to develop clean energy at about the same pace as last year’s record installations. The nation plans to develop 30.83 gigawatts of wind power this year, the National Energy Administration said in a statement on its website on Monday. It added 33 gigawatts in 2015, triple France’s entire capacity of the clean resource, according to data from NEA. Developers rushed to deliver projects last year before tariffs paid for clean energy were reduced, and the support levels on offer this year are generous enough to keep drawing in investment. The central province of Henan will have the most wind power projects approved this year, with the eastern province of Shandong following, according to NEA. Wind installations in China have almost doubled since 2012 to 139 gigawatts, according to data compiled by Bloomberg. The rapid growth of wind power has left the grid struggling to connect all the plants, forcing wind turbines to sit idle. China is clamping down on the ability of local authorities to plan new wind projects in some of the windiest provinces because the pace of building to date has outstripped the grid’s ability to absorb new power flows. Those places include the northern provinces of Inner Mongolia, Jilin, Heilongjiang, Gansu, Ningxia and Xinjiang. Nuclear Power Plants: Pre-Deployed WMDs, CounterPunch 28 Mar 16, by KARL GROSSMAN Pre-deployed weapons of mass destruction. The consequences of such an attack could far outweigh the impacts of 9/11 and, according to the U.S. 9/11 Commission, also originally considered in that attack was the use of hijacked planes to attack “unidentified nuclear power plants.” The Indian Point nuclear plants 26 miles north of New York City were believed to be candidates……. a main mission of the IAEA, ever since it was established by the UN in 1957 has been to promote nuclear power. It has dramatically minimized the consequences of the catastrophic accidents at Chernobyl and Fukushima and routinely understated all problems with atomic technology. The “Nuclear Security Summit,” with the IAEA playing a central role, is part of a series of gatherings following a speech made by President Barack Obama in Prague in 2009 in which he said “I am announcing a new international effort to secure all vulnerable nuclear material around the world.”……..
Like the IAEA—formed as a result of a speech by U.S. President Dwight Eisenhower promoting “Atoms for Peace” at the UN—officials involved with nuclear power in the U.S. government and the nation’s nuclear industry have long pushed atomic energy and downplayed problems about nuclear power and terrorism. Not even corporate welfare can save Big Coal. 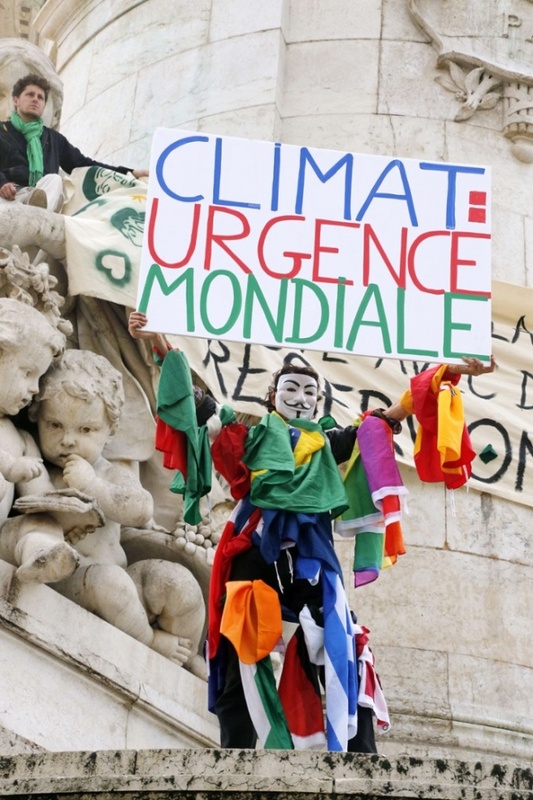 Ben Jervey: Subsidized to the end – not even corporate welfare can save Big Coal. This year, two energy companies that have each received billions of dollars in subsidies and financial support from the federal government are going into bankruptcy. You might think, in this post-Solyndra political environment, that conservative commentators and politicians would be lining up at the Fox News studios to call for some heads to roll. But, no. Even though these companies have benefited from enough federal subsidies to make the Solyndra loan look like pocket change, there’s no outrage. Because they are coal companies (not solar), the story isn’t about how the federal government spent decades propping them up, it’s about how the president’s Clean Power Plan is taking them down.